A very boho-luxe completely unique one of a kind design. It features three strands of mixed gemstones, beads and metal charms. The colour palette is a mauve plum purple, antique gold, brown and copper. I designed this especially to have an eclectic mix of texture, shapes and colours making a sumptuous bohemian yet sophisticated bracelet. There is the option to add a custom monogram charm. The length is adjustable with a antique gold coloured chain meaning the fit is from 19-21cm (7.4-8.2"). It closes with a antique gold coloured lobster clasp. The first strand features a mix of gemstones; a gorgeous feature tiger eye barrel shaped bead (1.3cm long). 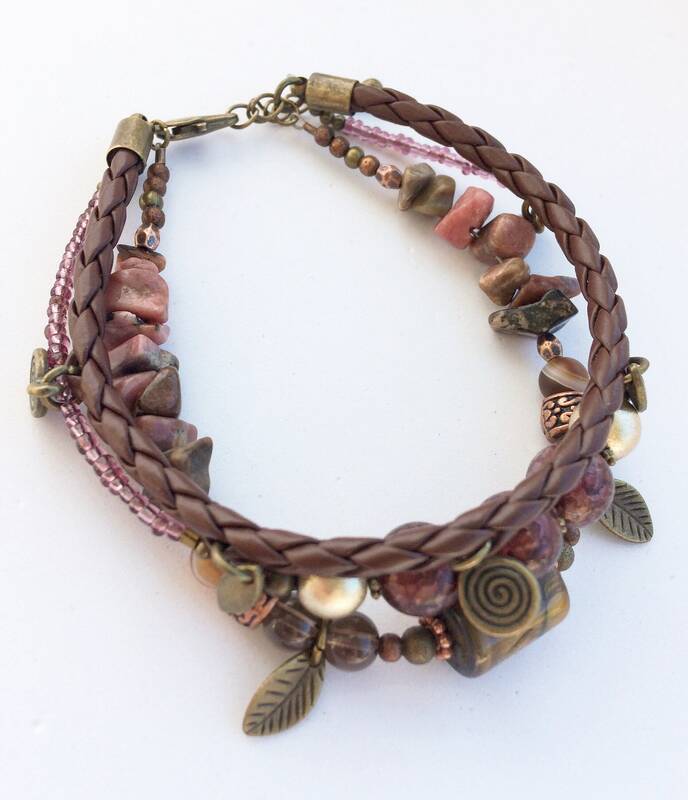 There are translucent brown coloured smoky quartz beads, matte striped agate and chunky rhodonite beads. 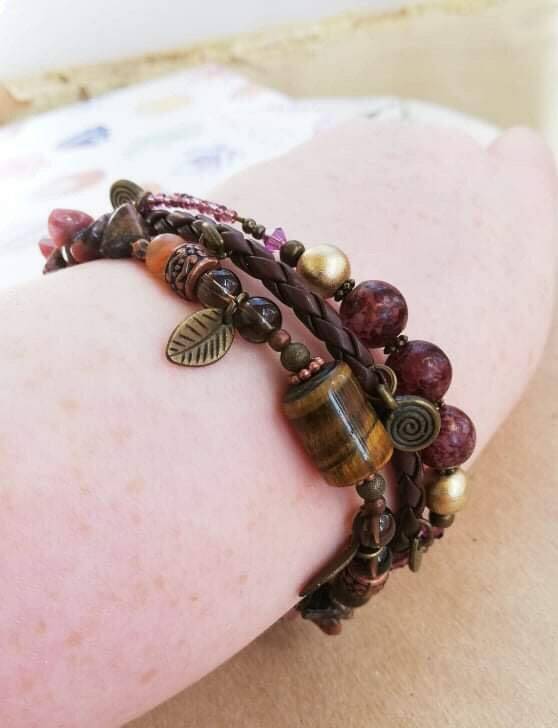 The rhodonite is a mix of pink, brown, black colours in organic striations and patterns. 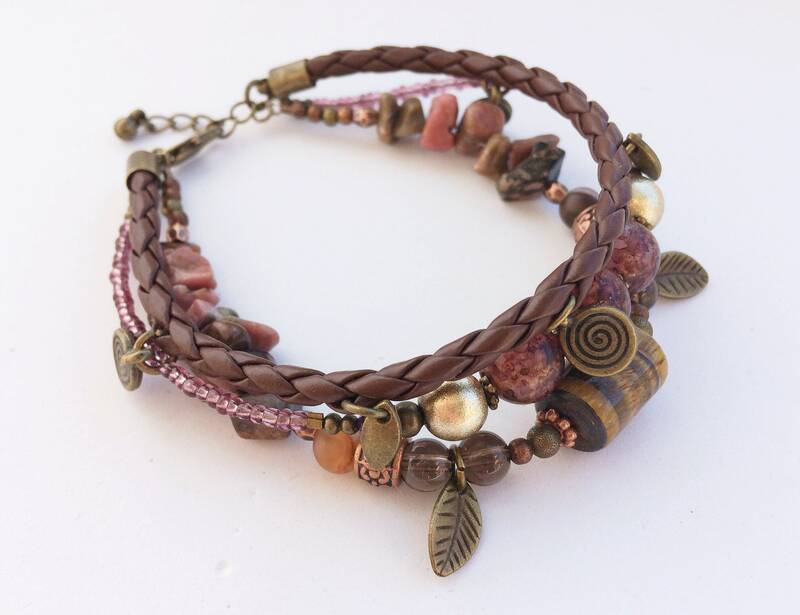 The next strand is a faux leather cord with antique gold coloured mixed charms in spirals and leafs. The final strand has mixed acrylic, metal and Swarovski crystals in purple with complimentary mauve seed beads. 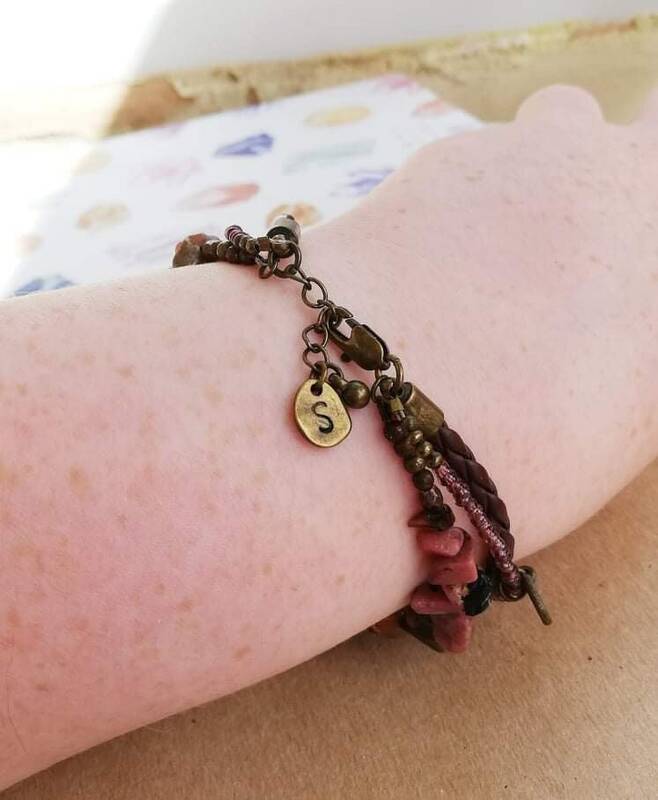 I really like this bracelet and think it's my favourite because it is so unique, combining many different elements and design features to make something interesting and hope it can be a special one of a kind piece for somebody who will enjoy wearing it.